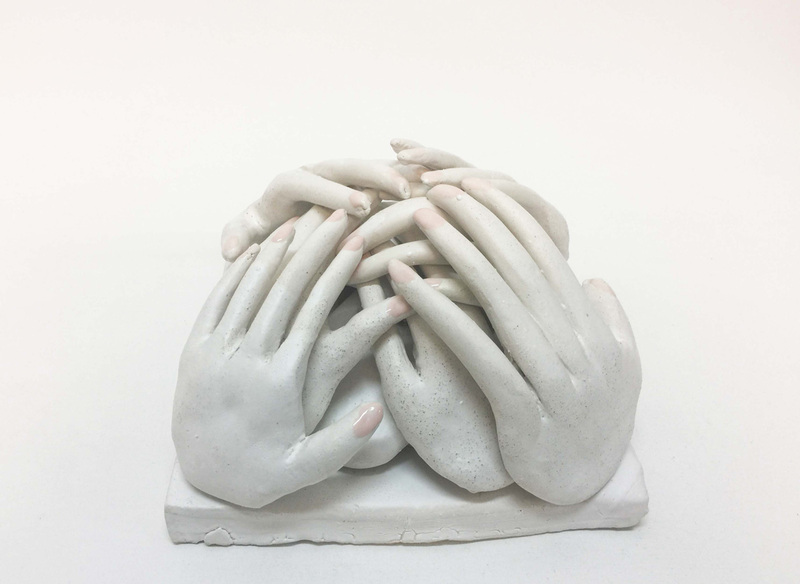 Antonio Colombo Arte Contemporanea is proud to present in Little Circus, the gallery space dedicated to special projects, Candy Memories, the solo exhibition of the Spanish ceramicist Lusesita (Laura Lasheras), curated by Chiara Pozzi. The recurring themes in Lusesita’s art are nostalgia and memory; the creative process of the artist springs from an analysis of the memory: from smells, voices, sounds and faces that belong to her past. The artist’s sculptures are an expression of the need to give shape to the feelings and emotions that, overwhelmingly, resurface in the mind. “The mind is capricious and does not allow us to choose its memories”, says the artist “a song or a scent can transport us over time, making a memory appear sweeter than it was and, sometimes, even more terrible”. Lusesita’s works take shape thanks to a great manual ability, yet without ever abandoning her playful and casual approach, which allows her to to experiment not only with the primary material of her works, ceramics, but also to mix it with other materials, such as fabrics. In some works, in fact, Lusesita skilfully interweaves and sews up enameled ceramic parts and raw fabrics, which blend and mix together. The aim of these tangles of material is exactly to give voice to the ambivalent emotions – daintiness and roughness, insolence and kindness – brought on by memories. memory, with time have left room for a more abstract approach; making sure that the artist’s attention fall back on the plastic qualities of the material, refining and working on a freer synthesis of the memory. In the gallery there will be works selected from three different series: Piñata, Picnic and Feira. Lusesita (Laura Lasheras) was born in Calahorra (Spain) in 1979. Since 2004 she lives and works in Barcelona. She studied Art at the Art and Craft school of Logroño, later she specialized in Ceramics at the School of Art and Crafts of Zaragoza. Among her solo exhibitions: in 2018, Candy Memories, Antonio Colombo Arte Contemporanea, Milan; in 2017 Origen, Miquel Alzueta Gallery, Barcelona; in 2014 Picnic, Miguel Alzueta Gallery, Barcelona; in 2013 La Piñata, Asociación de ceramistas de Cataluña, Barcelona; in 2011 Musas (double solo show with Sergio Mora), Drexel Gallery, Monterrey, Mexico; El jardín Doméstico, Contemporary Art center Can Sisterè, Barcelona; in 2010 Junglas y Minijunglas, Imaginart gallery, Barcelona. Her works have been exhibited at major international art fairs, including: Art Madrid (Spain); Maison & Object, Paris (France); Scope Art Fair, Basel (Switzerland); Art room, Madrid (Spain); Swab art fair, Barcelona (Spain); Kiaf Korea International art fair, Seoul, (Korea). 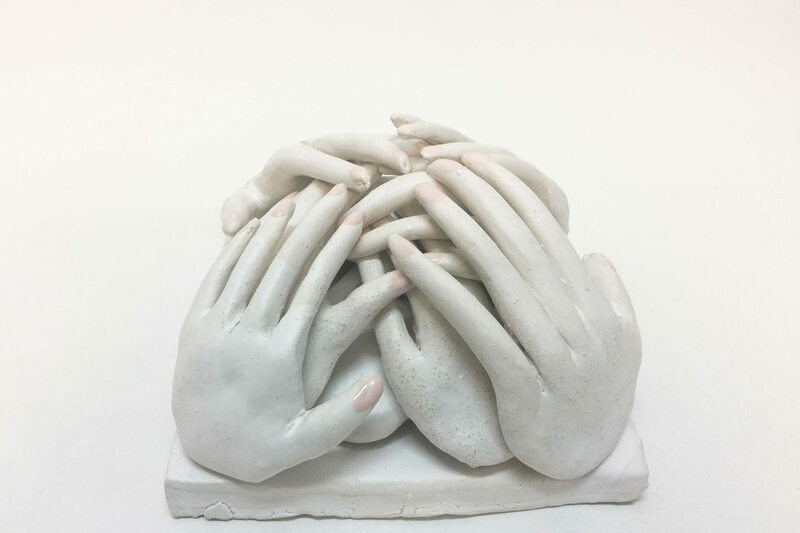 In addition, since 2008, Lusesita regularly holds ceramics classes at her atelier in Barcelona.